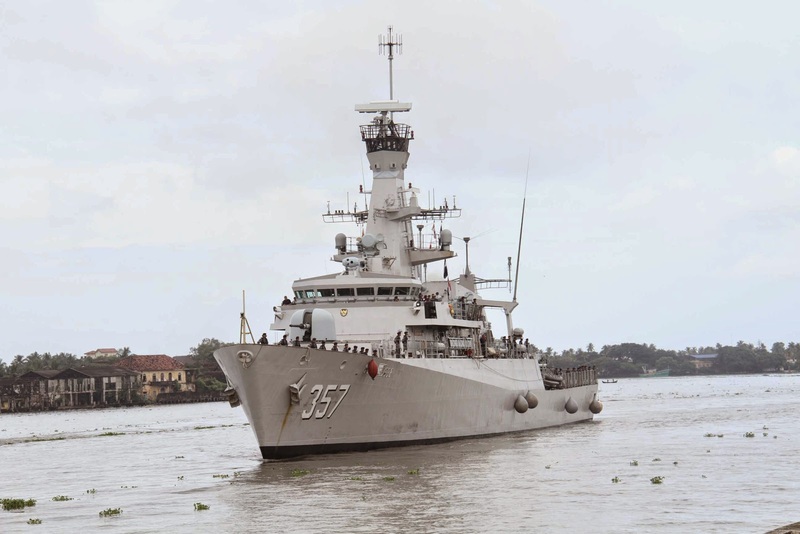 Indonesian Naval ship KRI Bung Tomo (Multi-Role Light frigate) arrived Kochi today. Captain Yayan Sofyan is the Commanding Officer of the visiting Indonesian ship. During the visit, various interactions with Southern Naval Command have been planned. Today, the Commanding Officer of KRI Bung Tomo and Col Arif Harnanto,the Indonesian Resident DA at New Delhi had an interaction with the Chief of Staff, Southern Naval Command. Other activities include exchange of visits by specialist officers and men from both the navies. 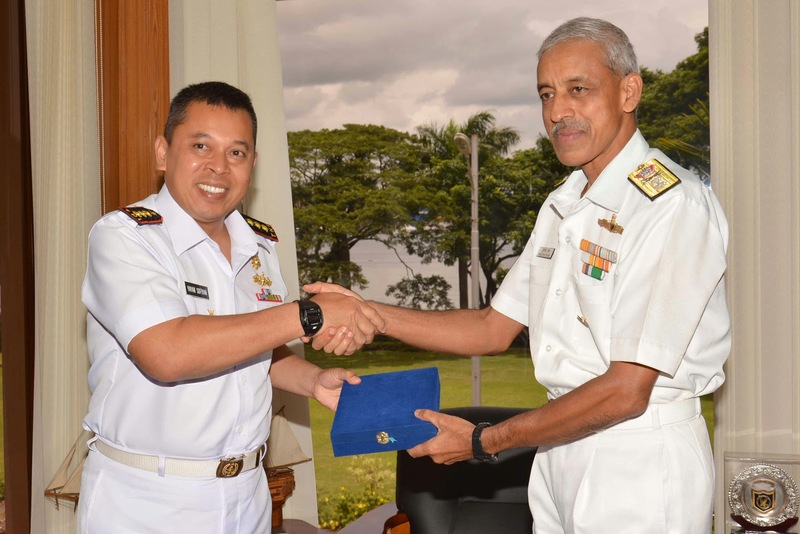 Indian Navy personnel will be visiting the newly inducted Indonesian Naval ships and Indonesian personnel will also be visiting training facilities at Southern Naval Command. Indonesia has inducted three such multi role light frigate which equipped to combat surface and sub surface threat. Two more ships of the same class are planned to visit Kochi in mid Sep 14. KRI Bung Tomo is enroute passage to Jakarta post her induction into Indonesian Navy at UK. The ship had last visited Salalah before arriving Kochi. She is planned to depart from Kochi on 04 Sep 14.